Industry Asks FERC to Table Version 4 CIP July 18 – The American Public Power Association, the Edison Electric Institute, the Electricity Consumers Resource Council, the Electric Power Supply Association, the Large Public Power Council, the National Rural Electric Cooperative Association, and the Transmission Access Policy Study Group collectively filed a motion with an emergency request asking FERC to delay the deadline for complying with Version 4 Critical Infrastructure Protection (CIP) Reliability Standards until Version 5 CIP can be implemented. If FERC grants the request, Version 4 CIP will never take effect. Comments on the motion are due August 5, 2013. FERC Overturns NERC DP/LSE Registration Determination July 18 – FERC granted South Louisiana Electric Cooperative Association’s (SLECA) appeal of a January 2013 NERC decision denying SLECA’s request to be removed from the NERC compliance registry. SLECA, which had been registered by NERC as a Distribution Provider (DP) and Load-Serving Entity (LSE), argued that it was not “directly connected” to the Bulk Electric System (BES), and was impermissibly registered. In granting SLECA’s appeal, FERC reasoned that SLECA’s only connection to the BES was a radial connection to non-BES assets owned by another entity, SLECA had an indirect connection to the BES, and therefore NERC did not adequately support SLECA’s registration as a DP and LSE. FERC Requests Comments on Market Implications of Frequency Response July 18 – FERC issued a Notice of Requests for Comments and proposed to approve Reliability Standard BAL-003-1 (Frequency Response and Frequency Bias Setting). The proposed Standard sets a mandatory “Frequency Response Obligation” for Balancing Authorities, and provides a uniform method for measuring frequency response. 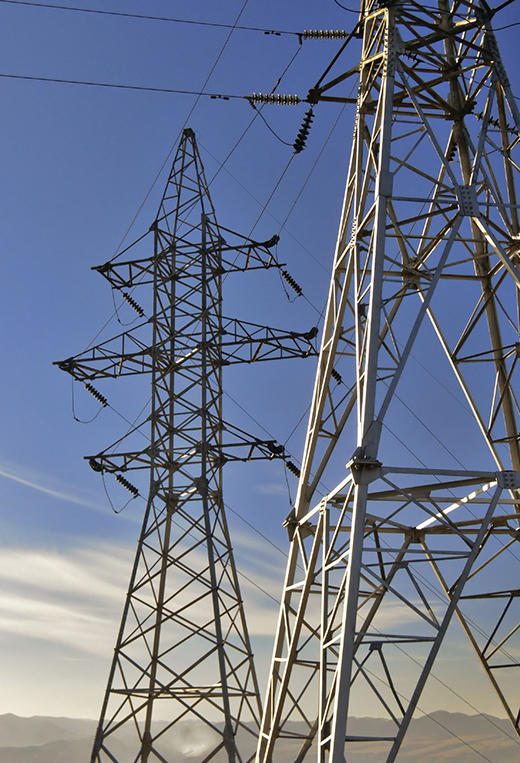 In part because BAL-003-1 addresses matters not currently addressed in any existing Standard, FERC seeks comment on the potential market impacts of NERC’s proposal. Comments are due 60 days after publication in the Federal Register. FERC Issues Final Rule Approving Modeling, Data and Analysis (MOD) Standard July 18 – In Order No. 782, FERC approved revised Reliability Standard MOD-028-2. Generally, MOD-028-2 prescribes the “Area Interchange Methodology” for calculating Available Transfer Capacity (ATC), which is one of three permissible methodologies for calculating ATC. The revisions are intended to be clarifying, not substantive, and were proposed to NERC by Florida Power & Light. FERC Proposes to Approve Three New Reliability Standards July 18 – FERC proposed to approve two new nationally-applicable Reliability Standards, PRC-005-02 (Protection System Maintenance), and BAL-003-1 (Frequency Response and Frequency Bias Setting), as well as one WECC Regional Standard, BAL-002-WECC-2 (Contingency Reserve). Comments are due September 23, 2013. FERC Approves NERC-SPP Settlement July 10 – FERC issued an order approving a settlement between FERC’s Office of Enforcement (OE), NERC, and Southwest Power Pool, Inc. (SPP). The investigation, conducted by OE, focused on SPP’s functioning as a Reliability Coordinator (RC) during a December 26, 2007 event in which SPP temporarily lost all system visibility at its primary control center. FERC Approves Proposed NERC Glossary Terms July 9 – FERC issued a letter order approving NERC’s proposed definitions of “Bulk-Power System,” “Reliable Operation,” and “Reliability Standard.” The changes were made pursuant to Order No. 693, which directed NERC to modify its glossary to include the statutory definitions for these three terms. the first in a series of new documents on internal controls. The Internal Controls Working Guide Version 1 is intended to define and help explain internal control programs and activities. NERC and NATF Sign MOU July 10 – NERC announced that it has signed a memorandum of understanding (MOU) with the North American Transmission Forum (NATF) agreeing to share certain information and work on reliability initiatives together. One such initiative has identified concerns regarding protection system misoperation analysis and corrective action. NERC Petitions FERC for Approval of Texas RE Enforcement Program July 17 – NERC petitioned FERC to approve a change to its delegation agreement with Texas Reliability Entity, Inc. (Texas RE) that would update the regional entity’s hearing procedures to conform with procedures in the other regions. Under the revised delegation agreement, entities contesting alleged violations, penalties, or mitigation plans would go before a hearing body composed of some or all of the directors of the regional entity. Under the current delegation agreement, the Texas Public Utilities Commission serves as the hearing body for the regional entity and makes recommendations to Texas RE on a resolution of the dispute. NERC Compliance Filing at FERC July 12 – NERC made a compliance filing pursuant to Order No. 777, relating to Reliability Standard FAC-003-2, concerning Transmission Vegetation Management. NERC Files Comments with DHS July 8 – NERC filed comments with the Department of Homeland Security on the Review and Revision of the National Infrastructure Protection Plan (NIPP). Lesson Learned Analysis Posted July 25 – NERC posted a Lesson Learned analysis called Use Loading Resistors When Applying Solid State Contacts to High Impedance Input Devices, which is applicable to Generator Owners, Generator Operators, Transmission Owners, and Transmission Operators. Other NERC Postings – Recently NERC posted: (1) Approved Version 2 of the ERO Event Analysis Process and Appendices, and Attributes of a Quality Event Analysis Report; (2) a Draft Reliability Guideline: Operating Reserve Management, which the Operating Committee has posted for comment; and (3) a NERC Probabilistic Assessment Addendum to the 2012 Long-Term Reliability Assessment. NERC Penalties June 27 – NERC filed with FERC (1) one new Notice of Penalty (NOP); (2) a spreadsheet NOP resolving 45 separate violations; and (3) 93 remediated issues in Find, Fix, and Track filings. On July 24, NERC filed supplemental information about the settlement of certain violations listed in the spreadsheet NOP. WECC Appoints Gary Stephenson as CEO of RCCo July 8 – WECC announced the appointment of Gary Stephenson as CEO-Designate of the planned Reliability Coordination Company (RCCo), which will result from the bifurcation of WECC. Mr. Stephenson’s most recent corporate role was as Vice President for Operations with DPL Inc., the parent of Dayton Power & Light. DHS Scales Back Infrastructure Cybersecurity Programming July 20 – According to media reports, the Department of Homeland Security (DHS) has been cutting back cybersecurity training and information sharing activities due to budget cuts. In the last four months, DHS has cancelled two conferences and three training sessions put on by DHS’ Industrial Control Systems Cyber-Emergency Response Team (ICS-CERT). Senate Cybersecurity Hearing July 25 – The Senate Commerce Committee held a cybersecurity hearing on the partnership between the National Institute of Standards and Technology (NIST) and the private sector. NIST’s Director Patrick Gallagher and industry witnesses testified.